Employees at General Motors’ German subsidiary, Adam Opel AG, can wave a sigh of relief, as their labor representation (union) has reached an agreement with Opel management that there will be no more operations-related layoffs until fiscal year 2018 in any of Opel’s German plants. The deal was reached because GM reportedly plans to sell right-hand drive Opel (and perhaps even Buick) models badged as Holden vehicles in Australia, according to German newspaper Frankfurter Allgemeine Zeitung, citing a source from the German labor union. Remember, GM has decided to pull manufacturing out of Australia in just a few years time. Additionally, Opel also attempted to sell as a brand in Australia, not lasting eleven months. Though previous rumors have also circulated that the Opel Astra may come back to Australia as a Holden model. That said, reports have speculated that future Holden vehicles would be imported from the United States, Korea and even China. If this is true it may give a clue as to the real reason why the Opel brand was pulled from Australia and also give an indication of when the decision to close Holden’s manufacturing was really taken. The question is can it be more profitable to build Holden models in Germany and the UK and then ship them half way round the world than build them in Australia? Part of the reason the Saturn Astra failed was because it couldn’t be priced competitively being built in Europe. I think the Korean Holden story may be more likely, especially as they have done it already. Either way I agree Holden will loose it’s “mojo” with Oz car buyers, just putting a lion on the front of a Korean turd does not make a Holden! 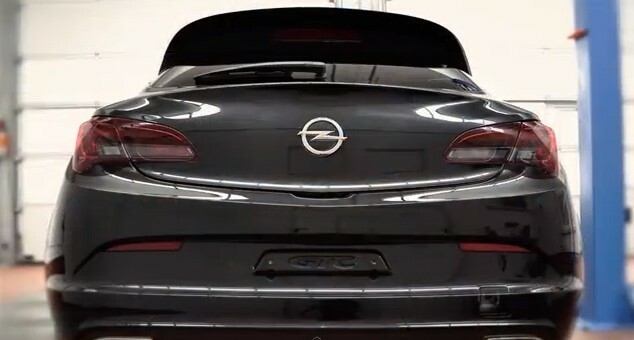 Rumors say that this Holden and maybe Buick built in Germany will be based on the next generation Insignia. So I suppose it will be the new Buick/Holden Panamera-style flagship. Well it make sense as the Holden add that showed the new Opel Buick on the screen. As I have said before you have to look big picture and also understand what you don’t know yet will bring things all together. Holden may lose production jobs but they may just end up with some real new world class cars. Good question. My take is that is costs much less to build in Germany at 100% capacity and then ship Astras across the world, than have a plant in Germany and a plant in Australia at 60% to 70% capacity. I walked past a Holden dealer last week and they had an Opel clearance centre across the road from the failed Opel experiment. I was surprised at how many heavily discounted new Opels they still had in stock and were trying to get rid of. There was easily around 30 vehicles. This is a lot considering how long ago they ceased importing them and the small number they bought over. Hopefully for GM this isn’t an indication of how the market responds when they come again rebadged as Holdens. I do wonder if GM are going to bring over their US pickups. There is a growing but niche demand for US style pickups here. I’m seeing a lot more of them on the road in the past year. I saw a late model looking Silverado HD just yesterday. I suspect GM probably doesn’t consider it worth tooling up a plant for RHD production though. Apparently Chrysler group are trying to find a business case to bring RAM trucks here. Rebadged Opels is more appealing than Korean turds. Giving us Opels is more respectful than flogging the korean crap. It is time for GM to completely change its worldwide marketing strategy. Instead of pretending that these national GM brands still mean anything, it should be using the same brand worldwide like Toyota and other major auto manufacturers do. Rebadging the same car in different countries is self-defeating. Just go with a worldwide brand. If Opel has a great car, sell it EVERYWHERE as an Opel, including Australia AND the U.S. The worst example of the current strategy was rebadging the Opel GT as the Saturn Sky and Pontiac Solstice in the U.S.. The Opel GT already had very favorable brand recognition in the U.S. from its famous 1969-1973 model. Rebadging was counter-productive and pointless. I think the current strategy with Opel and Buick is a good compromise. Opel is strong in Europe and Buick is strong in China and has potential in the US. If Opel and Buick can share costs where it makes sense, then both brands can benefit. In the very long run it would make sense to sell Opel, Buick, Chevy and Cadillac side by side in growing markets like China or India with every brand’s own design language and image like VW does very sucessfull. The problem is that GM isn’t thinking in the Long run (it’s a problem of all greater Anglo-Saxon companies because they simply have another business culture than for example German, Japanese or French companies) and that GM hasn’t the money to built up such a massive portfolio. So the current strategy makes sense in my opinion. But nevertheless, I think Buick and Opel should offered in all growing markets as Buick or Opel. So I think it would make sense to offer Opel in South America and Africa and build the cars locally. Buick could be offered in Asia, so also in India for example. So Chevy as entry-level brand, Opel and Buick as semi premium (with higher margins) and Cadillac as luxury brand. This is the only strategy that could prevent that GM will end in mediocrity concerning number of sales, earnings and margins compared to Toyota, Volkswagen and Kia/Hyundai. GM needs to invest and built up a global brand portfolio which not only consists of Chevy and the very small Cadillac brand. That’s simply not enough. There are a lot of markets which are growing fast and which have anough space for more than one brand. In markets like Australia or Europe where you have the problem of overcapacies only the local brand should be offered. That’s clear and GM has understood that which is a great progress in GM’s management. The German: “.. only the local brand should be offered.”? From the comments, I think the Australians have already figured out that “Holden” vehicles in the future are not going to be Australian except in badge only. They apparently are going to be coming from the U.S., Korea and even China. Why keep up this pretense? GM needs to offer world class brands worldwide. Its marketing strategy should have been changed a long, long time ago. The Holden brand has always offered rebadged cars and was very sucessfull with that for many decades. In my opinion it was a great mistake to replace the Opel developed cars by (Korean) Chevys. Holden should have been continuing offering Opel based cars which are more competitive against VW, Toyota or Ford. Maybe in the future Holden will also be part of the Opel and Buick alignment and restart offering better and more upmarket cars. But why dump the Holden brand? This would cause a massive dropping concerning the number of sales. You could look at this in different ways by looking at examples of what has happened with other brands. Vauxhall still exist even though all their products are designed and engineered as Opels, with a tiny handful of HSVs. But then again they still manufacture in the UK so you could argue there is still some sense of authenticity behind the brand. Holden will not have manufacturing or engineering anymore but they still have the design studio in Port Melbourne. What if these Alpha based products that maybe heading our way that we keep hearing about get some unique styling treatments and interiors just for Holden, designed by the studio in Port Melbourne? Even though they won’t be built here does that make Holden less or more of an authentic brand than Vauxhall? There is also the fact that HSV have said they are here to stay after the Holden shutdown so we don’t know what is up their sleeve. We have seen what has happened with Chevrolet in Europe. Correct me if I’m wrong but wasn’t this experiment part of GM’s attempt to sell a majority stake in Opel to Magna Steyr during the GFC crisis? Get rid of Opel and start afresh in Europe with Chevrolet and Cadillac. That hasn’t worked out well has it? Europeans want Opel. Then again this is different to Holden’s situation as most cars sold as Opels are at least designed and engineered in Europe. There have been failures. Look at the once proud Lancia brand. Most of their product range is rebadged Chryslers, not ‘proper’ Lancias. The market hasn’t responded well to that now soon they won’t even have the Chryslers. Lancia is going to be limited to one model and sold just in Italy. Sadly I think we can see where that is heading, unless Sergio has a plan up his sleeve to turn them around after he’s done fixing Alfa Romeo. Turning Lancia into sort of an Italian Subaru and getting them back into rallying would be nice but I think that is fanciful. Not that Subaru is much of a brand to get excited about these days if anyone who has seen the new Liberty/Legacy knows what I’m saying. The Saab 9-2x and 9-7x are other examples of crappy re-branding by GM. That didn’t go too well. There is no straight answer. The ways in which Ford and GM spread themselves accross the globe during the 20th century were very different. No one foresaw globalisation back then as it exists now. For Ford it is easy. Even though they built up their own unique Australian identity here just like they did in the UK and Germany, at the end of the day they don’t have to think about the brand, just the product. Holden is an Australian brand and existed here for 75 years before they were taken over by GM so people identify with it differently to Ford. It wouldn’t surprise me if GM are going to sit tight with the Holden brand for a few years and see how the market responds. They may just have a plan B up their sleeve to kill the brand and relaunch with another/other GM brands if it doesn’t workout. You can’t blame us Aussies for trying to come up with ideas to get GM to sell the whole Holden brand and operation to the Chinese or Indians, however fanciful it may seem with this situation in the back of our minds now can you? Chevrolet babes and Cadillac and Buick and Oldsmobile and Pontiac .